Forever Is a Long Time…And We Like That! Have you ever asked yourself, "What will happen to the wildlife habitat on my property after I'm gone?" 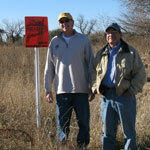 If so, Pheasants Forever and Quail Forever have many permanent habitat protection tools available for you. It's just a matter of finding the one that best suits your needs. Owen Demo understands the significance of increasing his support. His efforts help Pheasants Forever and Quail Forever make a greater impact by creating, restoring, and permanently protecting wildlife habitat, while also preserving the legacy of our hunting heritage. 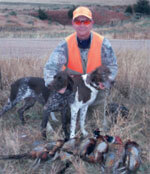 Katie Bjorge shared her giving story at the Pheasant Fest & Quail Classic event. 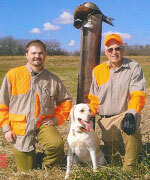 Katie and her husband gifted their farm to Pheasants Forever in honor of their son, Willy. As with most good things, the Habitat Legacy Society began because of the vision and leadership of a passionate individual. In late 2015, Bill and Linda Brannan and their daughters’ families, the Lierzs and Gawiths, created a family legacy by donating a conservation easement to Pheasants Forever. 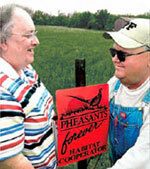 The perpetual easement is designed to protect the wildlife habitat they have established on their property, forever! During his life, Roger McClellan took plenty of people hunting, but he only had one hunting partner... his stepson Stephen. When he introduced Stephen Rider to ringneck pheasant hunting, the boy stood no taller than a 12-gauge A-5 humpback propped in a closet corner. You may recall reading the heartfelt piece "A Salute to Kim Price" by Howard K. Vincent, Pheasants Forever CEO and President. 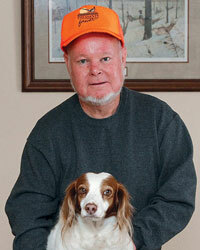 The salute was difficult for me to read because it wasn't too long before Kim passed away that I was chasing Kansas roosters and bobwhites with him and his brother, Tim. "It's in Honor of Dad..."
The square mile of land doesn't look like much right now—a nap of sorghum holding down the sand and waiting for another merciful pass from the irrigation pivot—but Rob Peterson sees it as much more. He sees the prairie it once was and the prairie it will become again. A new wildlife management area in western Minnesota honors the memory of a special little boy. Barak "B.J." and Katie Bjorge of Cottonwood, Minnesota, are donating 160 acres so that future generations of kids can play on the land their son, Willy, loved dearly. Words printed on documents that make up a conservation easement can't tell the deeper story of a love of the land and a respect for wildlife.Rip Pfeiffer has partnered with Pheasants Forever to create the organization's first perpetual conservation easement in Nebraska. 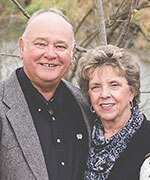 Larry and Brenda Potterfield, founders of MidwayUSA, have a vision for a grassroots movement to get more kids involved in shooting sports. But they also admit that they do not have the time to develop a shooting sports program that meets their vision and passion. 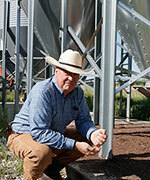 When Pheasants Forever was formed nearly 25 years ago, Bill Sr. was quick to realize he had a strong ally. 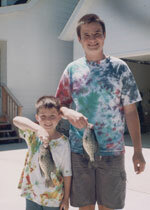 "Dad was a real leader in habitat conservation," Bill Jr. said. 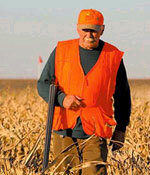 "His real love was the outdoors, but his specialty was pheasants. I remember going with him in the state truck out by Lexington, NE. He was doing a study on the effects of DDT on pheasant eggs. 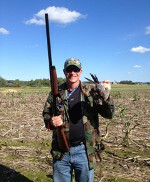 I helped him search for pheasant nests and rode with him in that truck all summer." The boy wakes to darkness on a winter morning in eastern Kansas. He quickly dresses and heads outside, across the farmyard and into the barn, where he grabs a bucket and makes his way to the parlor. He and his brothers hook milking machines to the Holsteins and carry each bucket to the strainer, twice a day, every day. 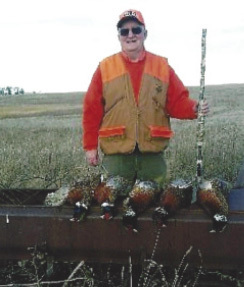 Ask Al Foreman why, deep down, he wanted to see his land be among the first properties enrolled in the new Forever Land Trust program of Pheasants Forever, and you won't get a quick answer. As I sat with the 59-year-old Foreman, he stared past me from his kitchen table and out the window to his land deep in Union County of west-central Ohio. "Mary Lu Dooley could, in some ways, be compared to Scarlet O'Hara. 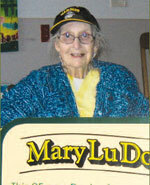 A spunky character, even in her 80s, Mary Lu is a strong and independent lady with an incredible past. Some say she scared the death out of the folks at the local Farm Services Agency office whenever she walked through their door because she wouldn't take no for an answer when it came to looking out for the well-being of her land. After five generations, Ohio's Beaver family is leaving its Marion County farm as a tallgrass prairie and oak savanna legacy for future generations. 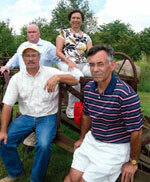 "It would be painful to subdivide a family farm," begins Dave Beaver, a member of the fourth generation on the land.